Go to Hisabing.com and click on the blue Login button on the top right corner. The “Sign in” page appears. Enter your username and password and click on “Sign in”. 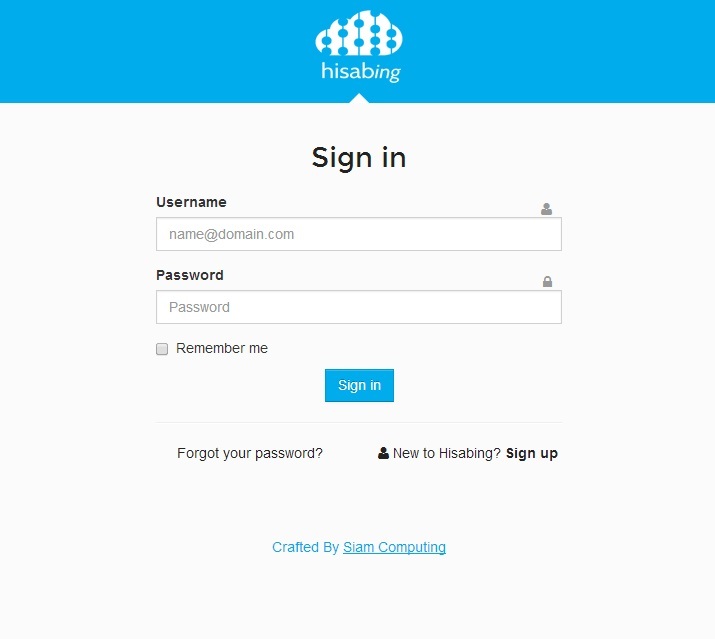 In order to log out of your Hisabing account, click on your name at the top right corner of your Hisabing screen (The name with which you have signed up for your Hisabing account) and click on “Sign Out”.